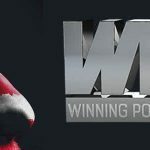 The Winning Poker Network has announced the three-tiered OSS Cubed tournament series will run from April 9th and feature a $1,000,000 guaranteed Main Event. 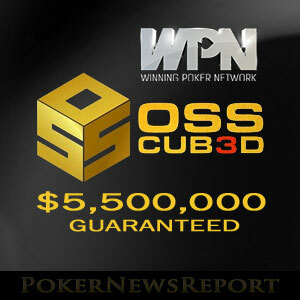 OSS Cubed is a combination of three different tournament series regularly played at sites on the Winning Poker Network. The Mini Online Super Series (MOSS) caters for players with smaller bankrolls and is scheduled from April 9th to April 16th. The Online Super Series (OSS) features more valuable events and will run from April 19th to April 30th. The Bigger Online Super Series is for high rollers, who will be putting plenty of cash on the tables from May 3rd to May 7th. Undoubtedly the highlight of OSS Cubed is the Million Dollar Sunday event on Sunday 30th April at 4:00pm (ET). However, either side of the feature event, there will another 140 tournament of all formats and buy-ins guaranteeing a further $4.5 million in prize money. There will also be a competitive leaderboard competition running alongside OSS Cubed that will reward the top three players with a package to the Punta Cana Poker Classic in October. 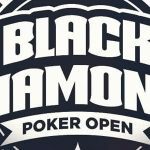 The Mini Online Super Series will give players at Americas Cardroom, Black Chip Poker and Ya Poker the chance to win a valuable prize for a mini buy-in. The forty-seven event series has buy-ins starting at just $0.06, and features a good mix of NL Hold´em tournaments with a few Omaha events in the mix and even a Seven Card Stud Hi/Lo event included in the schedule. The highlight of MOSS is the $88.00 buy-in Main Event on Sunday April 16th. Replacing the regular “Sunday Special”, the MOSS Main Event will have a buy-in the fraction of the regular Sunday feature and an enhanced guaranteed prize pool of $200,000. A comprehensive satellite schedule is already underway to qualify as many players as possible for “pennies on the dollar”. For many players, MOSS will just be the warm-up for the ninth Online Super Series – a series comprising of seventy-seven tournaments guaranteeing more than $3 million in prize money. Although this element of OSS Cubed is heavily dependent on NL Hold´em tournaments, there is a good selection of opportunities for players with buy-ins ranging from just $1.10 up to the $1,050 buy-in Cage. 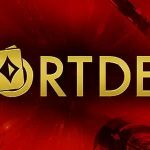 In addition to the Million Dollar Sunday event, five further tournaments will have guaranteed prize pools of $100,000 or more, including the opening event on Wednesday 19th April, the $350,000 guaranteed Sunday Special on Sunday April 23rd, and a “Warm-Up” event prior to the Million Dollar Sunday that will have a guaranteed prize pool of $300,000. Although only consisting of seventeen events, the Bigger Online Super Series is guaranteed for more than $2 million. The action kicks off on Wednesday May 3rd with two events guaranteed for $100,000 and a $5,100 buy-in Cage event. Throughout the rest of the week, there is an excellent selection of event for big hitters consisting of both NL Hold´em and Omaha events. The BOSS Main Event takes place on Sunday May 7th and has a massive $750,000 guaranteed prize pool for its $2,100 buy-in. In addition to its substantial prize money, the winner of the BOSS Main Event (as well as the MOSS Main Event and Million Dollar Sunday) will receive an inscribed sterling silver bracelet to mark their achievement. Throughout the three OSS series, sites on the Winning Poker Network will be running a leaderboard competition that will see three lucky players win a package to the Punta Cana Poker Classic. Points for the leaderboard competition are awarded according to a formula that divides the number of players in each event by their finishing position, multiplies the square root of that calculation by five, and then multiplies it again by an “Entry Cost Factor”. The “Entry Cost Factor” ranks tournaments from 1 to 4 depending on their buy-in. Because of the way in which the rankings are divided, most players will not be at a disadvantage if they play in events with lower buy-ins. For example, there is only one point dividing the Entry Cost Factor of a $20.00 buy-in tournament and the $2,100 buy-in BOSS Main Event. Naturally, players who compete in a greater number of events will have the best chance of scoring a high position, so – in order to get a good start in the OSS Cubed leaderboard competition – head over to Americas Cardroom, Black Chip Poker or Ya Poker, where satellites are already running for the early events in the Mini Online Super Series and the Million Dollar Sunday.